Abiding the government’s New Southbound Policy, Eden corporates with Chinese Cultural University for the sixth time, running summer overseas internship at Eden’s Service Center in Vietnam. Chosen in a highly competitive process, the first batch of interns would like to share their stories in Vietnam with us! 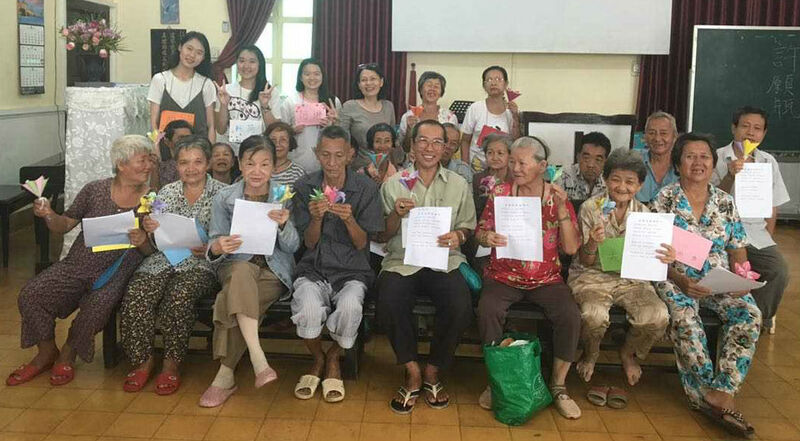 The month-long internship program including, Mandarin teaching at a Chinese school in Vinh Long Province, group activities with the elders who came for meal services during lunch time and teaching Mandarin in the evenings at Guang Zhong Tang, a Christian day care center which offers Chinese lessons to people at all age in Ho Chi Ming City. In order to provide varieties in lessons and helping them gaining confidence in learning, activities such as sketching, monopoly game, paper-airplane folding were added in the lessons, as well as singing by learning classic Chinese songs like “Little School Bag”, “Friends”, and “Dreamland” in the lessons for the elders. Different techniques were used to introduce the culture of Taiwan, Japan, China, and Vietnam (most people at local have never been outside the area), through its tourism and gourmet culture. To implement concentration and motivation in the classes, class regulations were set, also coherence was built in classes through creating and chanting slogans in the classes. 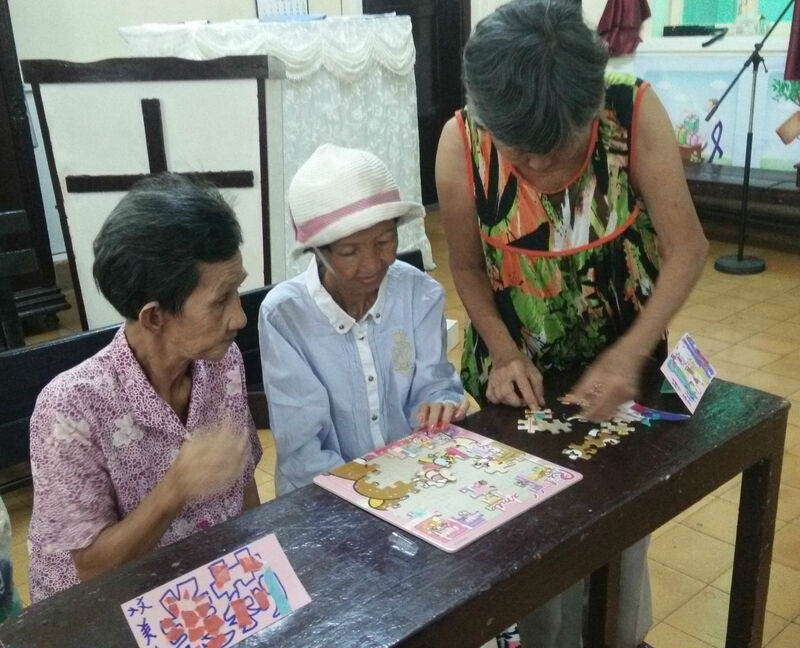 Applying professional training with local culture was the toughest part of the program for the interns, “Overseas service is about adjusting to the local culture, understanding local residences, environment, and culture. 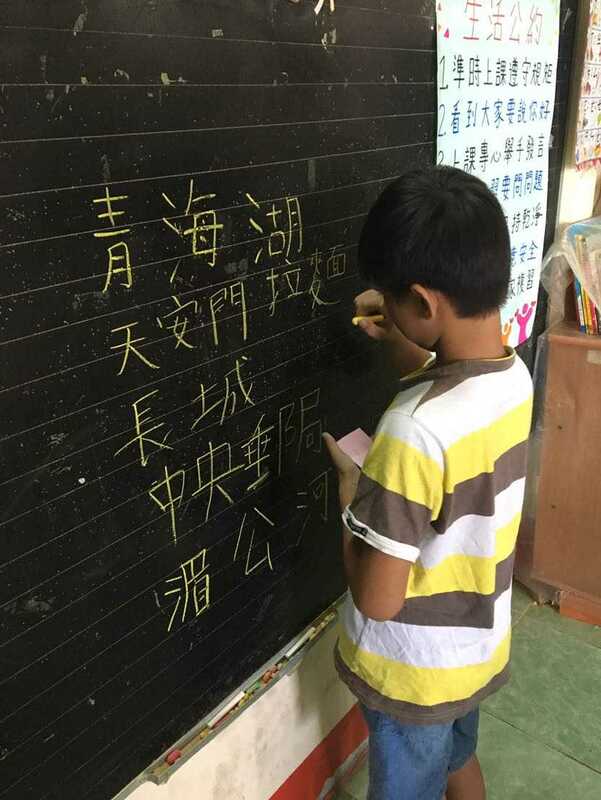 It is essential to understand the difference between two nations in order to adapt teaching methods and modes of interaction were easier”, said Linda Huang, who volunteered overseas for the first time. She also further emphasized that the greatest part of this program is that a sense of fulfillment was gained, by watching children’s attitude changing from reluctant to learning on their own initiatives and be active in classes. They also learned to think outside the box, it was really challenging in the beginning that the materials and lessons they had prepared did not fit the classes perfectly, so staying up at night and discuss how to moderate the lessons were their homework every evening, but watching the classes engaging more and more with them were really fulfilling and touching. John Kuong, Director of Eden’s International Development Division stressed that learning how to adopt local culture into services is an important part of the program, one has to leave his existing thinking pattern behind, to practice and build up flexible thinking in the field of social development. “This internship is a great opportunity to experience the different internship structure and the framework from traditional internship programs in Taiwan, “said Emily Liao, who’s also traveled to Vietnam for the first time. The overseas internship program is a great opportunity for potential students would like to work in the field of international development, it provides them with a great chance to learn while helping the Vietnamese children learn Chinese and Taiwan’s culture and elevate their ability for future professional practice. Eden has its practice in Vietnam for over a decade, bring in resources and obtaining Vietnamese government’s social service license over non-profit organizations to serve the families of new immigrants and local people with physical disabilities, help overseas minorities obtain medical care, education, and employment, and ultimately, realizing the spirit of Love without Borders.